If you’re still here and haven’t gone shopping on Booktique yet, we suggest you read our interview with owner Aimee Lorraine Keh-Lee first to know more about how these unique bookcessory store came about. 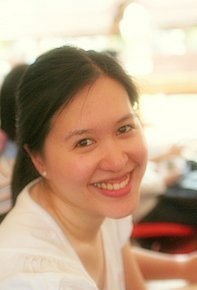 Aimee Lorraine Keh-Lee is a work-at-home mom interested in everything bookish. Follow Booktique on Facebook. HI, Aimee! What a niche! Can you tell us how Booktique was born? I wasn’t always a work-at-home mom. In fact I had a promising marketing career in a prestigious multi-national [company] which ended abruptly after I had two successive miscarriages soon after getting married. It was quite traumatic. Believing that stress was a contributing factor, I decided to stop working (sadly and reluctantly) and was encouraged by my husband to start a home business on something I loved, and that was books. I got the idea from a few book accessory shops in the States and I thought, why not be the first to start one here in the Philippines and be an advocate of reading among Filipinos? And the items wouldn’t be boring supplies; they would be fashionable and trendy and we could offer as many reading accessories as I wanted. It was exciting! I thought of the name “Booktique” and the rest is history. By the way, I’m now also the proud mom of a bubbly two-year old little boy. Wow! But how do you manage Booktique? Haha, honestly, in between my two-year-old, managing the household and my full-time job, I hardly have time for anything else. Booktique is more of a hobby that I do to connect with readers and get in touch with books. But at least once a day, or every other day, I get orders and fill them out. Hobbies are fun, especially if book-related! 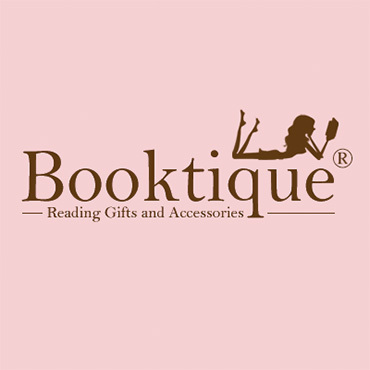 Speaking of, what does Booktique offer? I wanted Booktique not just to stand for reading, but also to help change the image of reading and make it fashionable, trendy and cool, instead of geeky or boring. I start with a product concept based on the reader’s needs, starting with myself and my friends as readers. Some of our products are original—they’re self-conceptualized and self-designed so I had them produced locally by various suppliers. Here are some examples: The Fabric Book Covers, The Book Couch and the Classic Book Strap. A lot of our other items are purchased locally or imported from China and Korea, depending on where it’s made. Some of our more popular items are the Booklockets, Bookstands, Fancy Bookmarks, Booklights and the Booktotes. Best thing that has ever happened to you with Booktique? The best thing has been connecting with readers every day! Really, if there was one thing that I learned when I started Booktique, it was the fact that there are A LOT of readers out there. I was surprised myself! Whoever said that the Philippines is not a reading nation is wrong. That’s what I was told a lot when I wanted to start Booktique – that hardly anyone reads or buys books anymore, let alone book accessories. I’m glad I didn’t let this keep me from going ahead with Booktique, because times are changing including the reading landscape and the internet is helping to shape it. Filipino book bloggers, book clubs and book sellers (which I’m sure you know, too) are thriving in the digital world. One of the biggest challenges has been finding good local suppliers to make some of the products we sell. They’re not that easy to find. There are a lot of Filipino talent and craftsmanship that are tucked away so the only way you can find them is through connections. Hopefully, the Internet is helping in changing this. Can you share your thoughts about reading among Filipinos? I think there’s no question about it that there are more readers now than ever before. The book industry probably has the numbers to support this. I think the big shift that started this was the birth of Harry Potter and how, after that, the whole Young Adult category has ballooned the book industry and helped it grow. The question of readers buying more accessories if it’s related to bestsellers, my answer is: not necessarily. Yes, bestseller-related items sell but there are a lot of basic accessories that continue to sell even if they are not related to bestsellers—like book lights, book stands, book marks, etc. Creativity and innovation is key in keeping them interesting and fashionable. For example, the zipper bookmark and the fingerprint bookmarks are really ingenious bookmark design ideas that can spark interest without having to be bestseller-related. Why do you think it is important to build a #ReadingNation out of Filipinos? Reading opens our minds and brings us into worlds of possibilities beyond our imagination. I once read an article stating that reading improves our brain’s function in various ways, maybe even improve our empathy. Reading provides me an escape, takes me to a different world, and it’s fun! How do you think can the habit of reading be further encouraged? Among the children and the youth, I think simply buying them books is not enough—it’s important for them to see their PARENTS read. Children will copy their parents, and if they see their parents reading habitually, they will develop a love for reading, too. For adults, I think this is a more complicated thing because if they didn’t start young, it’s harder to start this later on. I think the way to do this should be a little more scientific—understand the different types of readers and see how to get them to read more. For example, let’s start with those who read once a year: understand why that is, how many they are, what books they read, and how we can get them to read TWICE a year. Then those who read maybe once a month, find out why and how to get them to read maybe TWICE or thrice a month, and so on and so forth. The total effect on readership then would be huge. Alexander McCall Smith. His writing is so refreshing, heart-warming and so true. It’s like afternoon tea with biscuits! Hi Aimee! Thank you for reading and for your kind words! We really appreciate you allowing us to feature Booktique once again. 🙂 Please feel free to share this should you want to.